Gwen was a team medalist for the United States Pan-American Team. She has numerous wins at Grand Prix Level nationally as well as internationally. She has 25 years of experience at the International Levels. 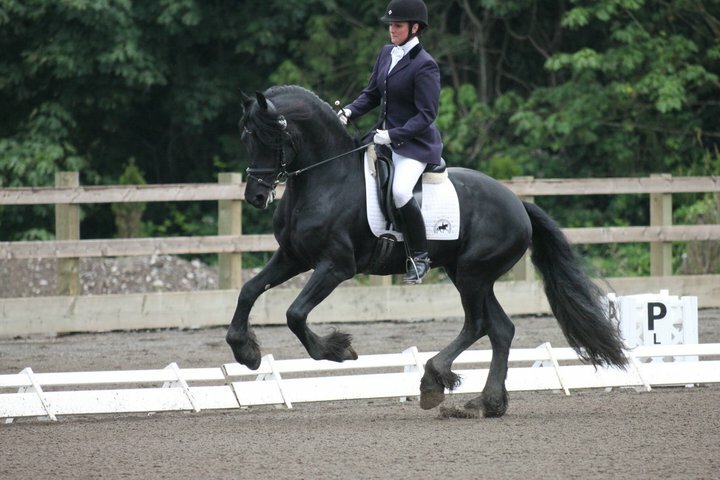 Gwen has trained and competed extensively in Open Division at CDIs on the west coast, east coast, and in Europe. She has earned the USDF Centerline Scores five star achievement score as well as the individual USDF Bronze, Silver, and Gold medals. 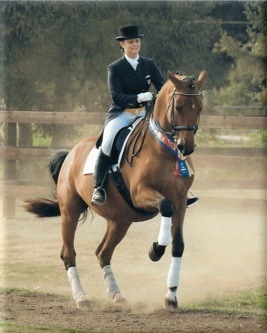 She has twice received The National Horse Show Award and Presidents Trophy. Gwen has trained over a dozen horses all from youngsters through the levels to Grand Prix. She was awarded Highest Scoring Foreign athlete at Langley CDI in June 2016. Gwen’s training methods focus on the effective use of the aids and development of expression in the gaits. She teaches the use of correction versus punishing the horse. 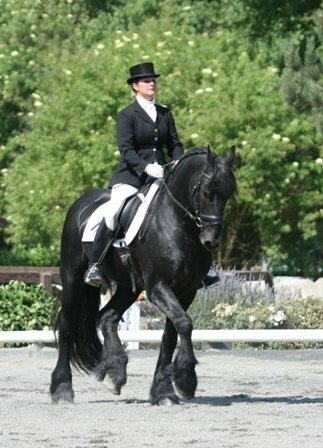 An organized training method that brings out the expression, balance, strength and grace in the horse’s way of going thus allowing her students to develop skill and confidence while simultaneously advancing competition skills and strategies.She accepts a limited number of new clients for private lessons.